I Have never met Keith but I do know someone who has actually met him. YES! 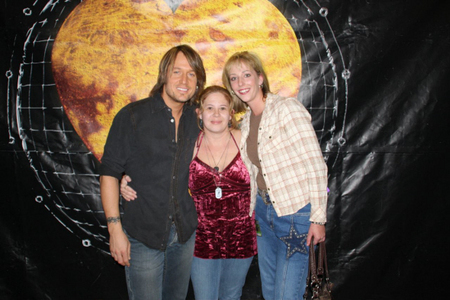 I was lucky to meet Keith on his Get Closer tour and he is absolutely AMAZING! I have mobility issues and was in a wheel chair, when I got to the curtain where Keith was, he hurried over to the curtain to hold it out of the way so I could be wheeled in. He is so down to earth and makes Du feel so welcome & he gives THE BEST HUGS I have ever had. I embroidered his Nabru logo on the back of a hemd, shirt to give him. I gave it to him & I sagte I hoped he liked it, when he saw it he sagte "Oh baby I Liebe it!" He seemed to be genuine about it and had such a big smile on his face. I told him there was a note in the pocket because I knew once I was in front of him I would forget all I wanted to say, and I did. 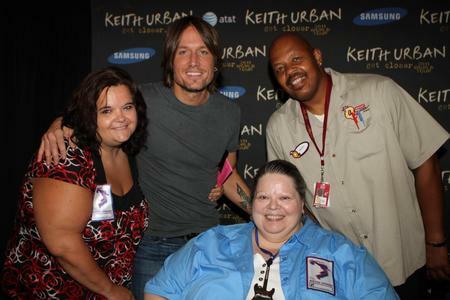 But Keith made it a great expiereince just because he is such a great guy, and he smells WONDERFUL Von the way!! 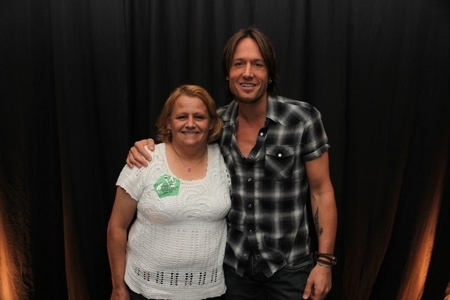 I haven't met Keith Urban but I would really like to!! I have never met him before but I would like to meet him. I wish I could meet him at his concert.